what is the difference of 10 and two? what is two less than ten? Ali has 10 apples in a basket. If he shares 2 apples with Jane, how many apples are left in the basket? This is because children are expected to cover the fundamentals of English reading and phonics when they are in Kindergarten. Unfortunately, while Kindergartens are registered with the Ministry of Education, the K1 and K2 syllabus are unregulated and left entirely to the private operators to decide on what and how the pre-schoolers should be taught. It is therefore unsurprising that children enter Primary One at varying levels of competency in English. Children who are less-prepared compared with their peers will be at a disadvantage unless they are bright and learn fast. It is for this reason that PCF (PAP Community Foundation) Kindergartens are so well attended because they are seen to offer a syllabus close to what MOE has in mind. An (umbrella, apple, orange) a day keeps the doctor away. The baby is learning to (pedal, kick, step) his tricycle. (Once, One, Last) upon a time, there (is, was, were) a little girl called Little Red Riding Hood. One day, (his, her, she) mother baked some cookies and asked Little Red Riding Hood to (bring, throw, give) them to her grandmother (who, which, where) lived (in, on) the deep forest. Read a simple passage and write answers to up to 5 open questions. A number of the answers can be copied verbatim from the passage. The answers must be complete and proper English sentences. Listen to a simple passage and respond to open questions. For an example of the actual comprehension and picture composition exercises, check out this demo. The above are just guidelines and not definitive. Of course, the more effort parents put into the process, the faster their children can reach the upper levels of competency in English. I believe that any child can achieve what is outlined above as long as they are given the chance go through a proper learning regime. The more gifted or bright children will just learn faster and deeper. The best academy is mummy’s and daddy’s laps. Nothing beats the simple activity of bedtime reading to children on a regular basis, which also enhance parent-child bonding. New parents are encouraged to learn how to teach their children English by attending talks or reading parenting books. As a rule of thumb, children should learn to read before they learn to write. Learning to read will first require children to be fully cognizant of the 26 English alphabets and their phonetic sounds. That should then be extended to phonetic sounds of combinations of letters – the goal being to let the children read aloud printed words by themselves without requiring them to actually understand the meaning of the words. In a separate process, the children’s vocabulary should be built up by exposing them to a wide variety of nouns (things) and verbs (actions). Finally, the fastest way for children learn grammar is through regular practice via conversations. It is imperative that parents and educators use proper English sentences to communicate with pre-schoolers, otherwise, it will be very difficult to correct children once they have gotten used to speaking English in a particular manner. Reading is the only way for good proper English! I agree with the commentaries here. Judging from my own experience in both tutoring kids and now my own son, reading is the surest way to ensure a reasonable standard in English. Be sure to pace the level and choose books that they will enjoy. As a parent, we need to lead by example, one cannot be watching TV and expect the kids to read books! Doing these as a family can both promote healthy reading habits as well as spending quality time together. Of course, one also needs to ensure that spoken English is conducted in a proper manner everyday. Speaking well is equally essential since the kids may or may not have peers who speak proper English, especially in pre-school. 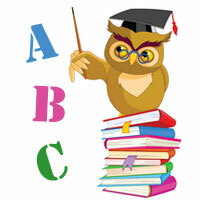 When learning to read, complete words rather than alphabets are recommended as a start. Flash cards are superb starting point in teaching toddlers. Some cartoon programmes are great, but usually only the educational ones such as Little Eistein or Barney are useful. Be discerning as some programmes, in my opinion, such as Banana in Pyjamas and Hi-Five, are not very useful. For TV, it’s important to control the amount the kids watch because they can be addictive. For me, I swear off digital hand held games, since these are a waste of time and even more addictive. Some parents told me they are good for motor skills, I personally think there are many other activities that can nurture these skills than digital games. What a great article and tips! Timely guidelines! Thanks and Kudos! Read, read, read ! Your son will pick up English naturally (grammar, vocab) by constant exposure to English books. Just to share with u. Unless u can afford to pay the fees if not u need to guide youy child by READING. This is very work and useful. My son learn his english by watching tv eg cartoon and educational programme, seriously. Believe it or not, he can recognise all the characters in one cartoon programme. But, we ust also accompany him to watch those programme. English enrichment preparatory courses for P1? Any recommendations for english enrich class/school to prepare for P1 ? my son is starting P1 next year and he is so "singlish". like to build up his vocab, gammar, composition writing and comprehension?